DOWNLOAD FREE LINER NOTES HERE! 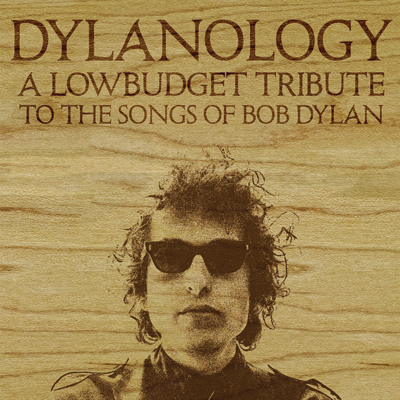 Another great tribute album featuring Boston-area artists, "Dylanology" is a wild 2&1/2 hour ride through his catalog, including very deep cuts to please even the diehard Dylan fan. The collection is available as a 16-bit 2-CD set or as a single DVD with hi-resolution 24-bit PCM stereo and 24-bit 4.0 DTS mixes, playable on all DVD and BluRay players. For downloads, we're offering a 256kbps MP3 version as well as a high-resolution 24-bit stereo version. Please note that our software limits us to 2 GB downloads; the album had to be broken up into two parts in order to be downloaded at 24-bits. Also please note that we can't ship outside of the US due to the high cost and lack of tracking. We recommend our international customers download the 24-bit version and burn it to two CDs.